90% of data on the internet was created after 2016. If you’ve ever approved cookies on a website or accepted an agreement to download a mobile app, Big Data is watching. There are major data trends that will shape our world in the coming years, and many of the changes are already taking place. Continue reading to find out how life will continue to change with the growth of data analytics. You might start feeling a little Skynet once you finish reading this article. You should know that everything you’re reading is happening or on the verge of happening right now. Understanding what data is being collected and how it is being used will help you prepare to live in a world of tomorrow with its smart houses and cars that drive on water. Big Data is not only helping improve profits and cut down costs in healthcare. It is also being used to predict epidemics, improve the quality of life, cure disease, and avoid preventable deaths. The information pulled from Big Data is also helping in the decision process of how to deliver treatment. Gathering data on patients to ensure that any early signs of sickness are noticed is one of the major trends in data in the healthcare industry. The goal is to know what needs to happen for a patient before any negative side effects show up. There are businesses like this company that help grocery stores provide the information customers demand. Helping stores no longer be slow-moving and confusing, they give stores a way to provide quick information. Kroger is at the forefront of using big data to customize its customer experience, sending relevant coupons to its customers based on an algorithm with over 800 factors. Online retailer, Amazon keeps stores like Kroger and Walmart on their toes as it continues to offer deep discounts and fast shipping. Stores will continue to use technology and big data to personalize the shopping experience from in-store to online to mobile. Retail is noticing more opportunities for data analysis they can act on to implement customer strategies that move more product. From log files and transaction information to social media metrics, there is a massive amount of data to be analyzed. This data will be used to review customer behavior and personalize the customer experience in the store. It can target promotions to specific customers and analyze the customer journey and back of house operations like supply chains and product distribution. 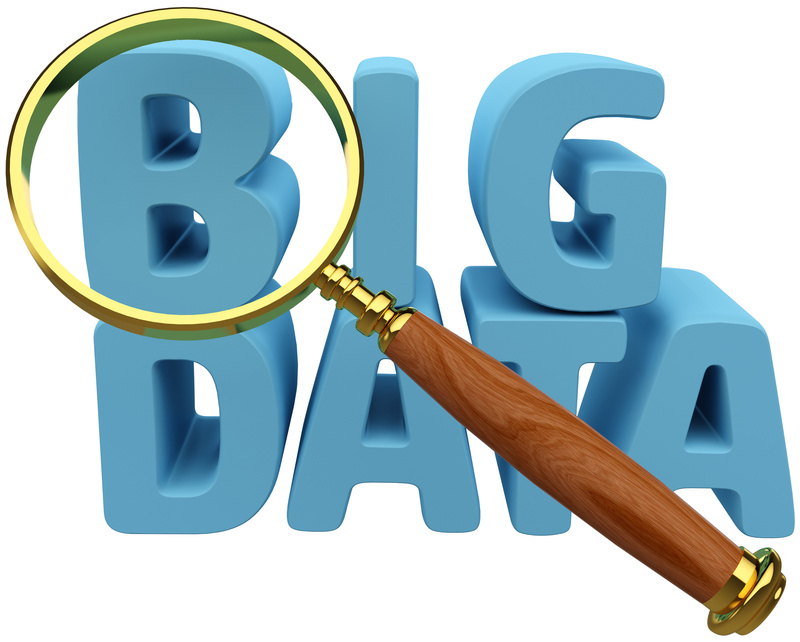 The main goal of using big data in education is to improve student results. Before Big Data came into the picture, the only way to tell how the student was doing in their studies was the grade they got. Now with Big Data, things like how long it takes a student to answer a question or which questions they skip can be documented for real-time analysis. The information gathered will also be used to reduce dropouts and customize programs for greater effectiveness. Recruiting students is another application for collected data. Daily actions in the financial industry are powered by a massive amount of data analysis. Making decisions that are data-backed allows for decisions that turn out better for the financial institute. Precision marketing will be easier with the data gathered and analyzed by players in the financial industry. Risk management will be more effective and concrete with the data as well. The financial services industry is highly regulated, so having ways to market and get in front of the right audience is important. Using data to generate lead lists to connect with and market to will enable financial professionals to reach people that they previously couldn’t due to lack of knowledge. Recruitment, training and development, and performance and compensation are a few areas where data can play a role in human resources. Recruitment is one of the biggest responsibilities of human resources, and integrating social media and recruitment will allow professionals to find the best fit for jobs faster. Training and development of employees no longer have to be complicated and expensive. Now training can easily be accessed through a network for employees to study at their own pace. The ability to review and see what training employees completed and when will allow for the customization of training materials for a better experience. Self-driving cars aren’t out of reach anymore with more models becoming available. Another development is vehicles that are connected to the Internet of Things (IoT). These two developments alone are enough to turn the automotive industry upside down, but there is much more to come. One of the challenges for customers that want to buy aftermarket parts is the inability to find what they need online. Since customers couldn’t find what they needed, they went elsewhere for their parts buying. The number of customers that turned away from online buying cost automotive companies big money. Now with data solutions to help piece the information together in an easy to understand and searchable manner, consumers are coming back online to find what they need. It is obvious that data gathering and analysis is not going to go away, but how much more in-depth will data go? Learning how to live with data gathering and learning how it will help your life is a good investment of your time. The above seven ways data is going to play into your life are just a few of many, and more are coming as progress continues. If your company has not started to gather and use data yet, this is a necessary part of business to continue to grow and build your business effectively. You should get started on your strategy today. Staying up on the latest technology and data trends will help you be a more informed citizen and allow you to recognize valuable opportunities. Read more of our most popular articles on topics like IT outsourcing vs. in-house and see where the world is going.